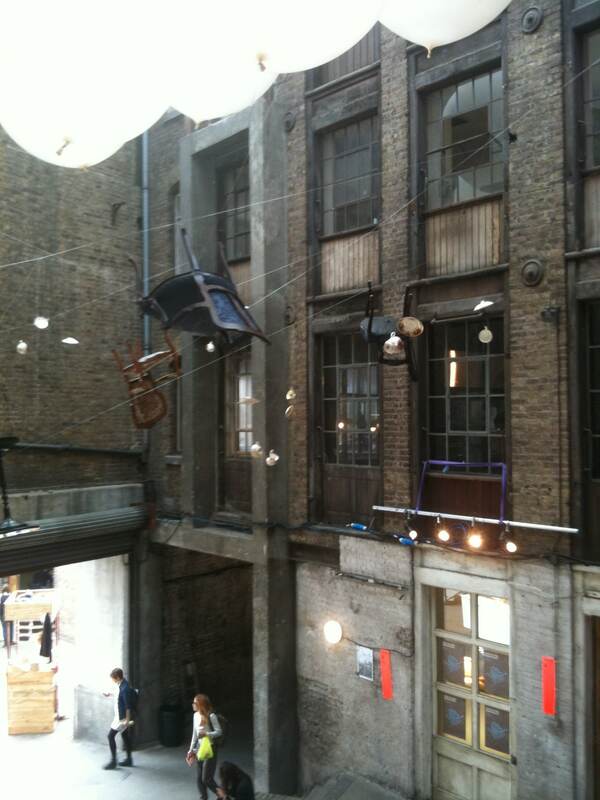 Designersblock is a fun LDF show at the wonderfully rambling and characterful Farmiloe Building on St Johns Street. It is a great place to see young and upcoming designers and exciting projects from fashion and furniture to techno textiles. 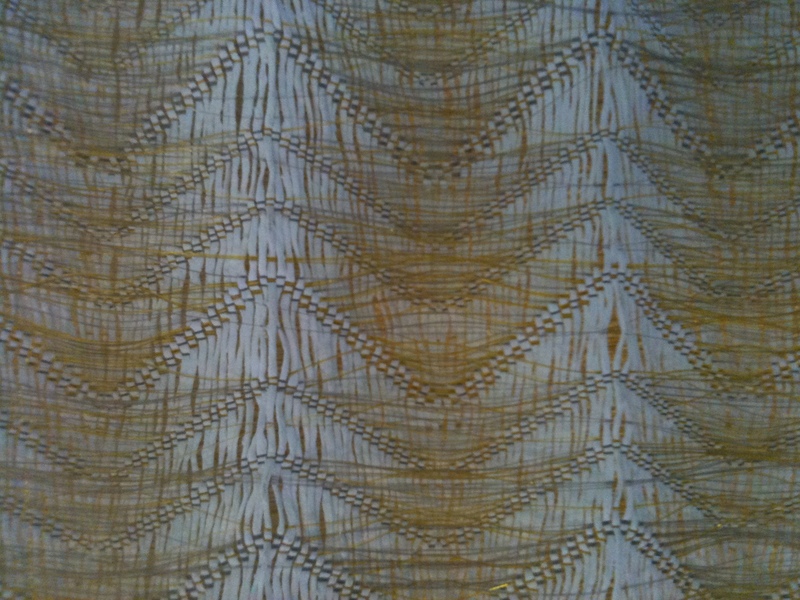 Fay MCaul‘s architectural textiles appeared on the last page of COVER Autumn 2010. 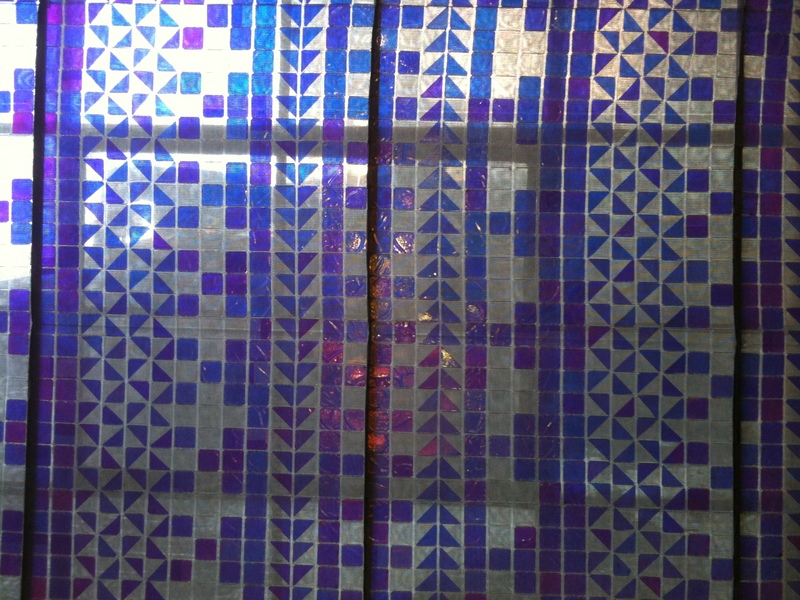 At Designersblock she showed some interesting knitted fibre optic work and some blinds that reacted to light. 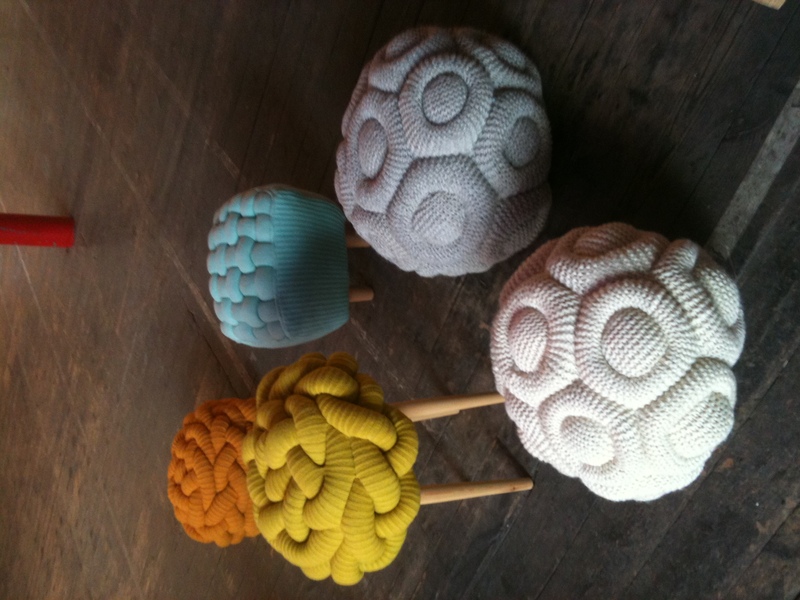 Claire-Anne O’Brien showed some fun knitted stools. 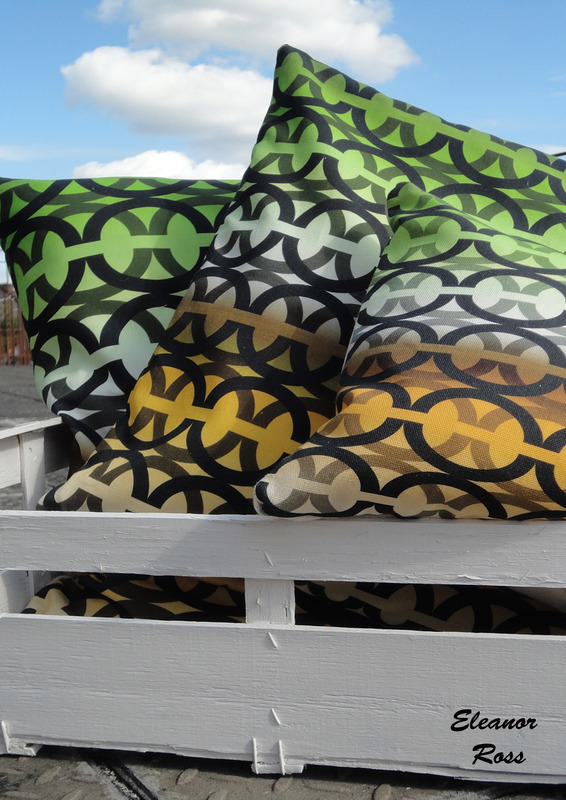 Textile designer Eleanor Ross, who graduated from Chelsea College of Art and Design in 2009, had a lovely collection of printed fabrics. 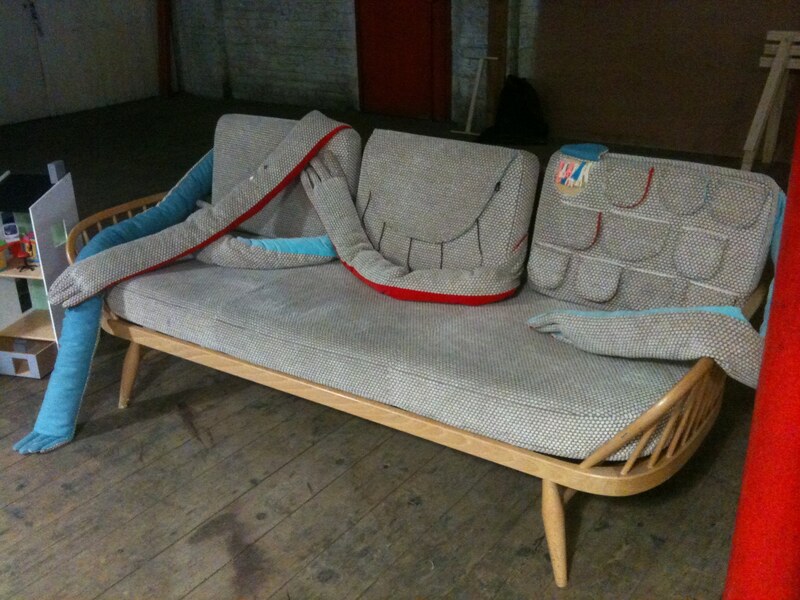 Textile designer collective Puff&Flock had a pop up shop at Designersblock and produced some fun work around the show, including the pictured sofa, which had interactive flaps and also rather long arms. 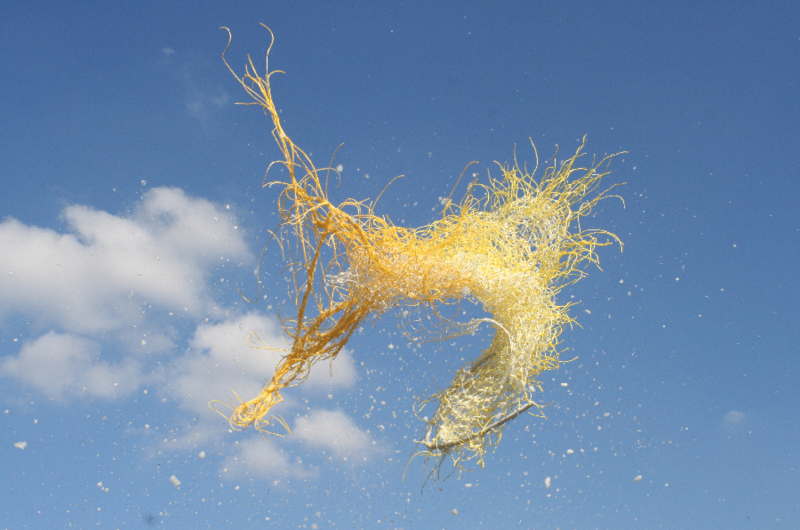 Textile collective POSTextiles, who all graduated this summer from the groundbreaking MA Textile Futures at Central Saint Martins College of Art and Design, had some fascinating and highly innovative textile ideas which question what it means to be a textile designer of the 21st century. 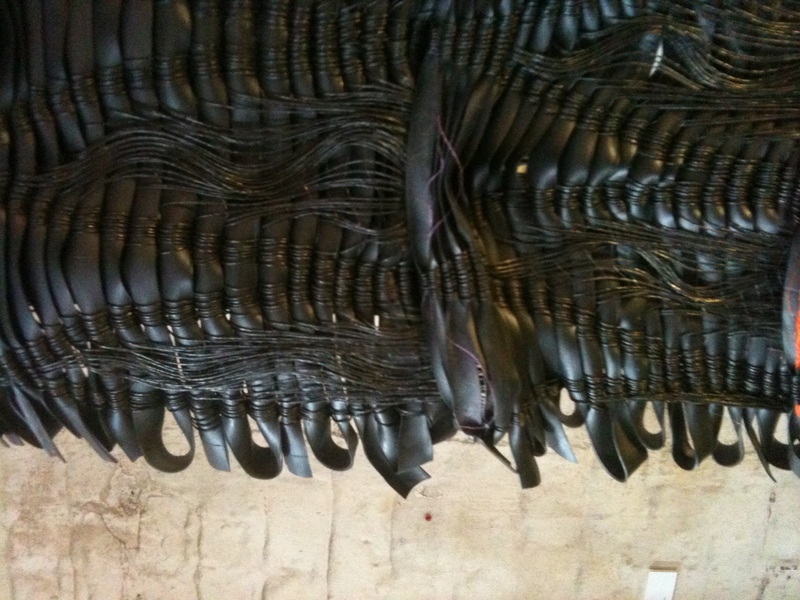 Weaver Helga Matos, who is featured in the latest COVER magazine, showed her amazing work at Designersblock, constructed with interesting materials such as rubber and clear tubes filled with water. 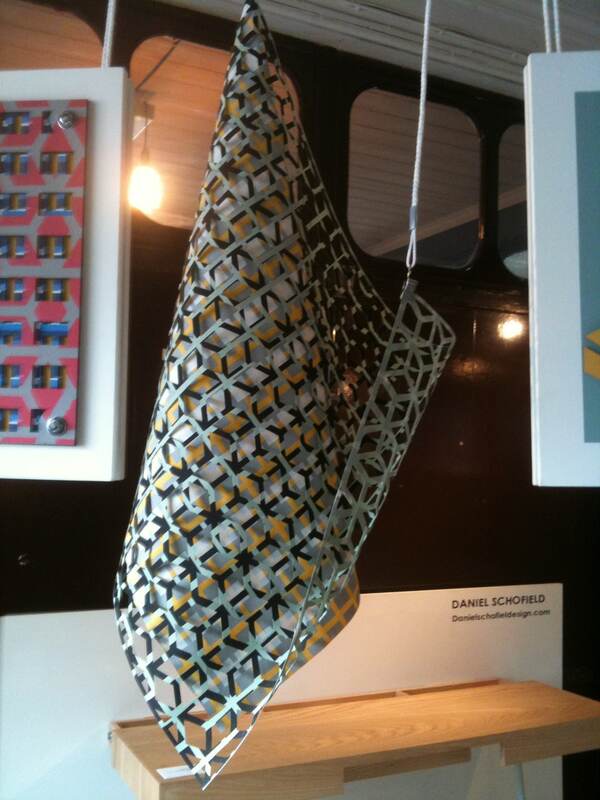 Chloe Scaddingshowed some eye-catching laser cut fabric designs, which were displayed in layers of different colours. On display there was also a lovely woven rug by Swedish designer Maria Sandberg, very Scandinavian in colour and design. 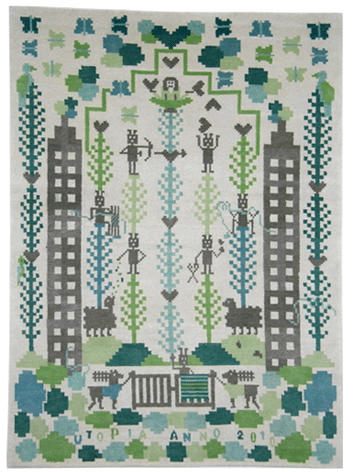 Sandberg is concerned with future sustainable textile design and craft so her rugs are made from wool and nettle yarns.